Nine ministers and deputy ministers were present for the Inter-Ministerial Task Team (IMTT) progress report on the intervention in the North West Provincial Government in terms of section 100(1) of the Constitution. Amongst the items reported, the IMTT noted that the 17% and 24% medicine shortage at the hospitals and provincial depot respectively was due to matters external to the North West such as procurement and the availability of medicines internationally. The NW Department of Health (NWDoH) confirmed that the medicines shortage did not include those on the critical list of schedule medicines. In addressing past irregular expenditure and audit findings, there was a process of condonation and consequence management for historic irregular expenditure which went as far back as 2010. Although DPME was unable to give financial management performance indicators for 2018/19 as the audit had just started, it was confident the performance indicators would improve significantly due to the improvements registered in cancelling the irregular contracts and condonation in some areas where possible. In areas where housing projects had been incomplete, the intervention had and would continue ensuring they were completed and handed over to beneficiaries. There was no illegal contract that the intervention had not tackled, cancelled or was litigating. • Had the complete payment of accruals been to the NEHAWU workers who had a dispute with the NWDoH or for payment of private service providers? • What was meant by SAPS comment about "the unpredictability of the security situation in North West"
• The fruitless and wasteful expenditure of a hospital laundry service provider located 207km away. • What action politically and administratively was being taken about Lekwa-Teemane or Tswaing municipality which seemed to be regressing since the intervention. 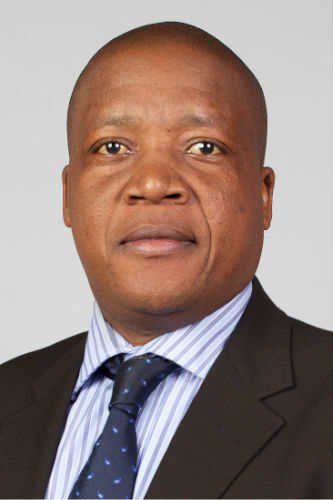 • Former North West Agriculture MEC Ms Manketsi Tlhape is alleged to have taken 44 cattle meant for an emerging farmer but the IMTT report had said nothing about this. In the first meeting of 2019, the Chairperson noted that the Inter-Ministerial Task Team (IMTT) on the North West section 100 intervention had included in its progress report responses to the Ad Hoc Committee recommendations. He requested the IMTT to update the Committee what had occurred since its last update on 16 August 2018 to the NCoP. The Chairperson noted that historically the National Council of Province (NCoP) was for the first time honoured in having nine ministers including deputy ministers attending a committee meeting and welcomed all the executive present to Parliament. 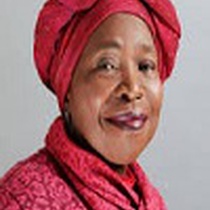 Minister in The Presidency for Planning, Monitoring and Evaluation, Dr Nkosazana Dlamini-Zuma,said that the Department of Planning, Monitoring and Evaluation (DPME) would report on what had been done to date, what remained outstanding, work in progress and about the areas where there remained resistance to the intervention. She requested the Director General take the Committee through the presentation. Ms Nompumelelo Mpofu, DPME Director General, went through the presentation (see document). The 17% and 24% medicine shortage at the hospitals and provincial depot respectively was largely due to matters external to the North West (NW) such as procurement and ready availability of medicines internationally. The NW Department of Health (NWDoH) had also confirmed that the shortage was not inclusive of the critical list of schedule medicines. There on an ongoing process of condonation and consequence management for historic irregular expenditure. The irregular expenditure went as far back as 2010. Although DPME was unable to give financial management performance indicators for 2018/19 as the audit had just started, it was confident the performance indicators would improve significantly due to the improvements registered in cancelling the irregular contracts and condonation in some areas where possible. In areas where housing projects had been incomplete the intervention had and would continue ensuring they were completed and handed over to beneficiaries. Ms Mpofu concluded that there had been was no illegal contract that the intervention had not tackled, cancelled or was litigating. The intervention had a standard implementation item on the post-audit findings for all the areas whether they were section 100(a) or (b). Ms L Zwane (ANC; KwaZulu Natal) asked if there was enough budget currently to finish the sanitation projects in 102 schools in the North West identified for fast-tracking prioritization. How and what would be done to ensure the 8 503 deserving learners remaining without scholar transport would be supported adequately going forward? What was being done to quell community unrest and avoid disruption of schooling? What did the 70 tasks reported as “behind schedule” actual mean? Mr J Nyambi (ANC; Mpumalanga) said the NCOP would conclude by the end of March 2019 and ensure there would be a legacy report for the Sixth Administration on the intervention in the North West Provincial Government. He was concerned that some Intervention Team members were withdrawing from the intervention. What challenges were causing these withdrawals? What was the status of proclamation? What was the current situation at the NWDoH? He believed there were clear prescripts on separation of powers between Members of the Executive Councils (MECs) and Heads of departments (HoDs); what was the new situation with HoDs and MECs since filling of vacancies of HoDs and provincial reshuffle of MECs? Ms T Mokwele (EFF: North West) asked how far matters had progressed about the NWDoH Director General? The Committee had been informed during oversight that whatever services Mediosa had been rendering had been stopped. However, she understood that there had been engagements between the administrator for the NWDoH and Mediosa as a contract had been signed between the two. How far had all that work progressed? The IMTT had spoken about the nursing college in Mahikeng being re-opened and she asked for more details on the agreement in getting the college re-opened and stabilisation of operations there, specifically the Occupational Specific Dispensation (OSD). The Committee had also discovered that the NWDoH linen management was conducted by a laundry service provider at Maquassi which was 207 kms from Mahikeng. Travelling there and back three times a week was fruitless and wasteful expenditure. What progress had been made on this matter? Ms Mokwele referred to the local government of either Lekwa-Teemane or Tswaing municipality which seemed to be regressing since inception of the intervention. What action was being taken about this regression politically and administratively? What was happening about punitive measures for misconduct in departments? How had a three-year housing backlog been resolved such that in a period of five and a half months 1514 sites had been serviced and 4899 housing units had been completed? Had proper procurement prescripts been followed? There had been no new apointments in the NW rather a recycling of MECs from those that Mr Supra Mahumapelo had removed during his tenure that had been returned into the Provincial Executive. 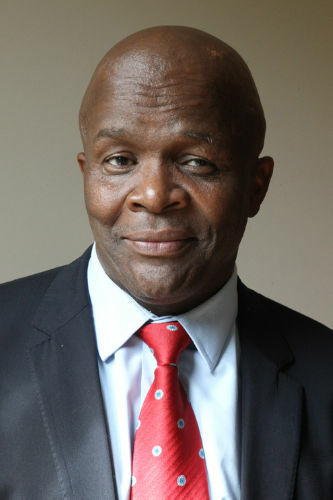 There had been a serious allegation against former North West Agriculture MEC Ms Manketsi Tlhape of having taken 44 cattle meant for an emerging farmer. The IMTT report said nothing about that. Had the IMTT dealt with that? Could the Committee be told if the IMTT had been able to decentralise the budgets to the relevant departments? The Chairperson noted that Ms Mokwele’s concern about Mediosa and the NWDoH had been captured in the recommendations to the IMTT in its Committee Report on its 2018 North West Oversight Visit. Mr S Mohai (ANC; Free State) asked what was meant by the South African Police Service (SAPS) comment about the “unpredictability of the security situation in the province of the NW”. Mr O Terblanche (DA; Western Cape) wanted clarity on how the misconduct suspensions of implicated officials worked as there still seemed to be investigations to find out what the suspended officials had been suspended for. Mr M Monakedi (ANC; Limpopo) asked how the NW availability of medicines compared with the national average. What were the major causes for the slow pace in concluding criminal investigations emanating from the intervention? What had been the outcome of the audit of the 986 out of 1 142 appointments (86.3%) made from 2014 to 2018? Ms T Wana (ANC; Eastern Cape) said that during the Committee oversight visit at the Tshepong Hospital, the unavailability of boilers had been raised as a concern. She asked if payments had been made to the National Education, Health, and Allied Workers' Union (NEHAWU) workers who had a dispute with the NWDoH prioritising payment of private service providers rather than paying workers bonuses. She asked about the ward councillor in the Ditsobotla municipality who burnt down 11 homes belonging to whistleblowers that had complained against ward councillor. Ms Mokwele asked why the Directorate for Priority Crime Investigation (DPCI) had declined to prosecute three of the cases. The Chairperson asked Ms Mpofu to elaborate on the Department of Water and Sanitation (DWS) decision to transfer R307 million away from the budget for North West municipalities and the negative impact it was having on stalled water and sanitation projects? Minister Dlamini-Zuma asked that the IMTT be excused from responding about the provincial MEC reshuffle as that was beyond the IMTT’s ambit. Almost every Minister before the Committee had had stakeholder engagement in the NW which had helped and there was mutual trust, although that was relative. 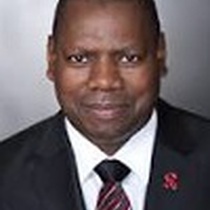 Minister of Cooperative Governance and Traditional Affairs (COGTA), Dr Zweli Mkhize, said there were indeed municipalities that were regressing but COGTA was acting on those issues. COGTA to date had no knowledge of a councillor that had burned 11 homes in Ditsobotla municipality, and actual expenditure on priorities had improved there. In Maquassi Hills, there had been a problem between the administrator and councillors and there had been litigation to have the administrator withdrawn. There had been intervention in that matter. In Kgetleng the administrator had been barred from taking office until the local leadership had intervened to resolve that in January 2019. In Ratlou municipality, the former mayor had been taken to court and had been replaced with a new incumbent after the court ruled in favour of the complainants. However; the intervention was seeking to bring in a mayor which would bring the stability required in that municipality. Mahikeng had been okay when the intervention started but COGTA had recently instituted a section 139(1) (b) intervention as services were deteriorating. COGTA had also found that except for one North West municipality, most were reluctant to follow-up on the outcomes of the MPAT (Management Performance Assessment Tool), including the Unemployment Insurance Fund (UIF). The Minister had agreed with the MEC that where there was a need for intervention, the NW would go to its municipalities to intervene. 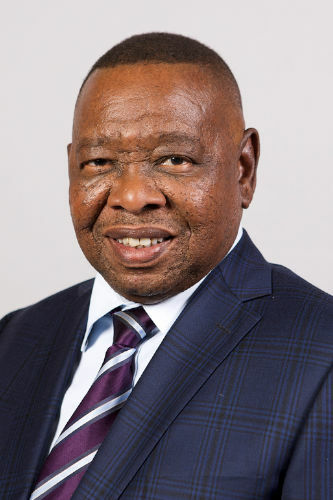 Minister of Transport, Dr Blade Nzimande, replied that the stated number of 8503 learners without scholar transport was not reliable as the measure used to determine who needed transportation was not reliable. Overall scholar transport challenges were a national challenge in that there were provinces where DoT managed the scholar transport and in others the Department of Basic Education (DBE) managed this. He would be engaging with the Minister of Basic Education on that issue at national level. Secondly, when the North West intervention started, the DoT was suddenly thrust into the situation while at the same time the DoT was facing the continuing burning of trains as a national crisis as well as managing the clashes between the taxi industry and the Uber ride sharing service. Therefore, some of the DoT Deputy Directors General (DDGs) had been removed from the North West to deal with this. It had been a matter of two competing equally important issues and DoT had since replaced the staff it had withdrawn as the North West intervention was quite important as well. COGTA Minister Mkhize said the MEC as earlier reported was seized with the matter of Ratlou. Over and above that, COGTA would be assessing whether the three municipalities, Dr Ruth S Mompati District Municipality, JB Marks and Ratlou Local Municipalities, had to be put under section 139(1)(b) or (c) or another form of intervention would be needed. 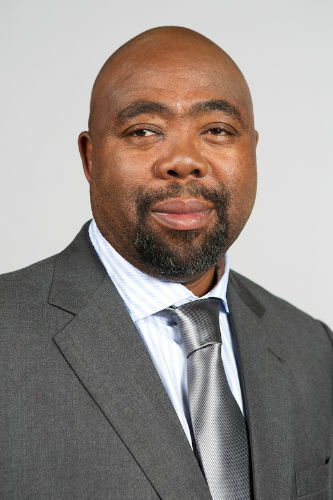 Minister of Public Works, Thulas Nxesi, replied that the collapse of the NW roads component originated from too many commitments being made by the NW without the necessary budget. The Office of the Premier and the Provincial DPW and DoT were looking into how those challenges could be resolved. Charges had been prepared for contract contraventions emerging from the investigations during the intervention. The landlords had started addressing compliance issues and were cooperating, especially on matters raised by the Department of Labour. Minister of Basic Education, Angie Motshekga, replied that 49 NW schools had been reprioritized for sanitation projects and were moving forward. The Department of Basic Education (DBE) had budgeted up to R45 million to increase servicing scholar transport. DBE suspected that it was transporting people that did not qualify for scholar transport and by the end of February DBE planned to have resolved that challenge through auditing the numbers. The debate on scholar transport and to which department it belonged had been ongoing since her days of being Education MEC, and it was only in two provinces that the DoT ran that programme. Minister Motshekga said the previous NW Premier, her senior officials and even herself had engaged NW communities on why basic education was targeted for service delivery protest by communities. Currently in Ramokokastad learners had been kept from school by their parents over the community refusing to recognise the traditional leadership in that area. 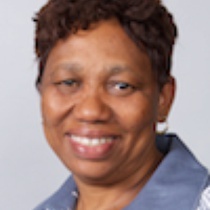 Minister Motshekga referred to the Human Resources appointment challenges and auditing of appointments and said that the DBE was dealing with the unique issues of the individual cases. 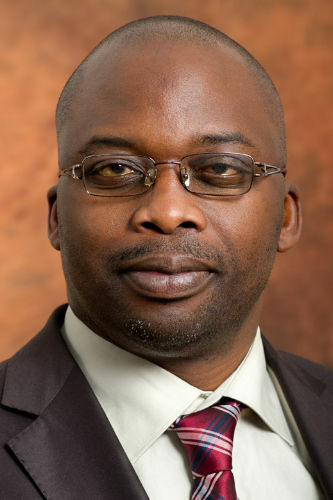 Minister of Justice and Correctional Services, Michael Masutha, replied that the Department of Justice and Constitutional Development (DoJ&CD) would accept any reports and cases from Committee members about any missed opportunity by the IMTT as the DPCI was in attendance. The specifics on 49 cases involving theft, fraud and contraventions of the Prevention and Combating of Corrupt Activities Act were contained in a report which the DoJ& CD could make the Committee privy to in a controlled environment. In a meeting with Minister Masutha and Minister of Police, Mr Bheki Cele, the new National Director of Public Prosecutions (NDPP), Adv Shamila Batohi, DPCI Head, Adv Godfrey Lebeya, and Special Investigating Unit (SIU) Head, Adv Andy Mothibi , they had agreed on a special intervention to deal with emerging corruption matters. Minister Masutha confirmed that from the 49 cases, the President had already signed off on the proclamations. Three proclamation matters were already under investigation by the SIU. The DoJ& CD was at the final stages of resuscitating the SIU Tribunal since the court rolls were quite clogged. 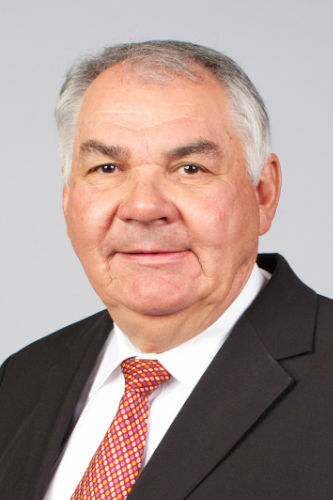 The SIU Tribunal, as was known, only dealt with civil recovery as well as cancellation of irregular contracts, the tribunal was hoped to free up the court roll as it would specifically deal with proclamations. Minister Masutha referred to the national picture of the R1 billion medico-legal claims already reported to have been affecting Gauteng most. The President’s issuing of a proclamation had enabled the SIU to investigate the entire State Attorney’s Office, including improprieties between state attorneys, private practitioners, DoH officials for bogus claims where the government had been unduly subjected to claims that would not ordinarily have been pursued. There had been some convictions and successes in litigation. Wherever the DoJ& CD had encountered resistance in the interventions, the SIU instituted thorough disciplinary criminal interventions. Certainly the DoJ& CD could tighten its administrative processes and finance systems to discourage officials from colluding with unscrupulous practitioners and others to defraud the government such as where files went missing. On the 21 cases pending decision by the National Prosecuting Authority (NPA) similar cases had been withdrawn because of lack of evidence including the three prosecution-declined cases. Therefore he was pleading with potential whistleblowers that there was protected disclosure legislation and the witness protection dispensation under the NPA and urged those that wanted to come forward with information and evidence to do so, as there was protection. 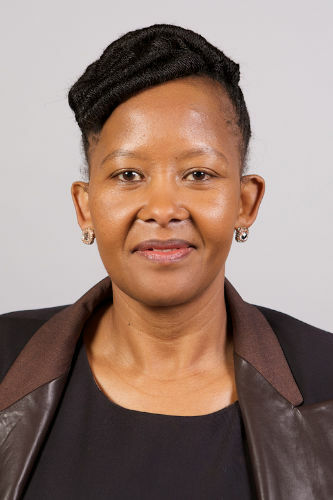 Minister of Sport and Recreation South Africa, Tokozile Xasa, referred to the R45 million stadium built in Potchefstroom alluded to by Ms Wana and said that Sports and Recreation South Africa (SRSA) had not funded any facility development to such an amount. She had found out from the Mayor that the facility had been jointly funded by the Municipality and the NW Government. SRSA would forward the relevant details in writing to the Committee. Ms Jeanette Hunter, NWDoH Administrator, said the NWDoH litigation bill from 2004 to date had been R4.5 billion as sometimes individuals that sued the NWDoH disappeared without closing the cases within the prescribed period. R339.5 million had been added to that amount in the 2018/19 financial year only. The NWDoH would participate with other provinces in a national intervention that the Minister of Health had instituted which was aimed to improve records management, interrogation of claims. However, implementation of the plan depended on finding funding. The NWDoH Head of Department had been suspended before the intervention had commenced. The way the suspension had been handled and its charges had lent itself to technical flaws at different labour fora which meant returning the HoD periodically to his position. The HoD had since been served charges correctly under the current intervention and was under a disciplinary process. The Mediosa contract had been cancelled in February 2018 before the province-wide intervention started. Mediosa had been paid R30 million in advance. Mediosa had later sent the NWDoH a bill for R25 million. Therefore NWDoH was attempting to recover the R5 million through the Office of the State Attorney. However the NWDoH was in a queue as Mediosa had undergone business rescue. Ms Jeanette Hunter said that the OSD was being handled on a case-by-case basis by the NWDoH administrator, similarly as in the NWDBE, as litigation had become costly for the NWDoH. The administrator had since been on the ground attempting to resolve this with the complainants and workers without it having to reach the Labour Court stage. Since the intervention, NWDoH had planned on proper linen management which included procurement of boilers for laundry services. In 2017/18 a confidential inquiry on the causes of maternal deaths at health facilities nationally, number one on that list of ten key causes was hypertension, two were infections. Linen that was not properly washed had greater infection potential at public health facilities. Hospitals in the NW were without boilers and hospital linen washing was highly specialized in that it had to be done at very high temperatures. Although Maquassi was far, it had the only laundry that could deal with the capacity needed. Although Klerksdorp was closer the laundry service provider was not on the Tshepong Hospital property. DoH had ordered boilers for 20 of the 23 hospitals in the NW where the reality was that each hospital had to have two boilers. The remaining thee hospitals would be prioritized after delivery of the first batch of boilers. Mahikeng, Klerksdorp and other large hospitals had to have three boilers and the boilers were being manufactured to order and were not readily available off the shelf. The first 8 ordered boilers would arrive in March 2019. The national average for medicines availability for both hospitals and Public Health Clinics (PHCs) was 85% and NWDoH was slightly behind with about 83% for hospitals about 75% for PHCs. An average for depots was not useful as depots could not store medicines to full capacity as there was potential for expiration of stored medicines which would lead to loss. NWDoH had started with accruals valued at R992 462 969 for 2018/19 and had cleared that to the 96% reported. The outstanding 4% was because the administrator had not yet received the invoices and other documentation relevant to the services billed. Additionally the format of the invoices had to comply with auditing standards as the administrator had found that in the NW invoices across units had vague language on the line items or services being paid for. The North West Department of Human Settlements (NWDHS) Administrator replied that at the inception of the intervention the NW housing delivery programme and system was near collapse. The diagnostic report had found that there had been no approved delivery plan. Since the intervention started, NWDLG&HS had delivered 4 899 housing units and the 1 514 serviced sites. That achievement, incredible as it was, together with the approved but stranded beneficiaries which had derived no benefits re-housing, had been audited which were 25 000 in number. The cost of concluding the unblocking of those blocked and stalled projects had been just under R650 million. The administrator had prioritized about 16 of those projects to the tune of R240 million in the year under review. The DHS was currently re-installing and re-engineering the housing delivery system in the NW so that the housing projects pipeline was freed up and DHS could plan going forward. However there were projects that had been initiated but not completed that needed undoing in the province as well. At the end of 2017/18 in February 2018, NW would have delivered the same number of houses as as the numbers reported at end of December 2018. Nothing had been sudden except that from planning to execution the intervention had jolted and reconfigured the delivery pipeline. As projects were be unblocked going forward, more houses would be delivered to beneficiaries. 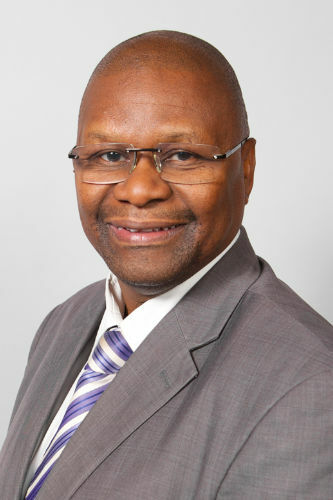 Dr Mkhize said that he had since confirmed during the meeting that there had indeed been a councillor who had been accused of being involved in the burning of 11 houses in Ditsobotla Municipality in October 2018. The councillor had been remanded and released on bail in December 2018 but was still serving on the council currently. The Ditsobotla municipal council was sending a report to the MEC on the matter and COGTA would submit the relevant details in writing to the Committee. Ms Mokwele said that she was not satisfied with the answers from the NWDoH administrator because DoH had said previously that the NWDoH did not have a contract with Mediosa but payments had already been effected. Ms Hunter had just told the Committee that the contract had been stopped in February 2018. Which information was the Committee supposed to accept? Ms Mokwele said that the laundry service provider was Boston Dry Cleaners in Maquassi and Ms Mokwele had told Ms Hunter that the dry cleaner had subcontracted the work to a third party. Ms Mokwele was not convinced that that was the only dry cleaner with the capacity for hospital linen laundry in the whole of NW. Ms Hunter had to investigate the matters she had raised including the HoD matter as she was simply unhappy with the responses. Moreover the NW hospitals did not have proper sanitation and ablution facilities and systems, and that was causing major health hazards across the province. She asked what the administrator was doing about that. Mr Nyambi proposed that the Committee accept that serious progress had been made by the intervention and it should table a substantive report to the NCOP and a legacy report to the Sixth Parliament as the NW challenges would go beyond the current Committee's term. 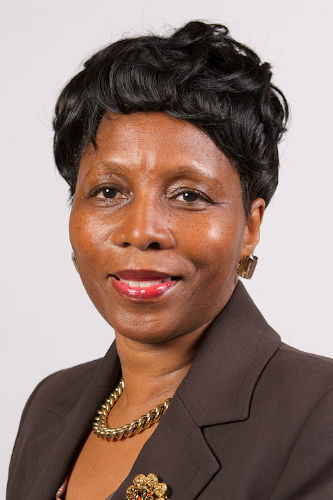 The Chairperson ruled that the NWDoH administrator submit a response in writing to the concerns raised by Ms Mokwele within five days of this meeting. Ms Wana appealed to the departments present to pay their electricity bills as these were outstanding. Mr Dondo Mogajane, National Treasury Director General, replied on the roads budget, saying the Committee was aware that the budget process lagged behind the IMTT intervention. However, as part of the budget cycle, the departments had submitted their budgets through the NW Provincial Treasury. 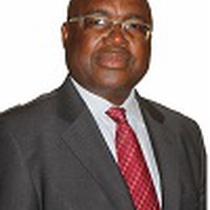 In December provincial treasuries engaged National Treasury (NT) on a process termed the ‘Provincial Benchmark Exercise’ where each province presented its 2019 budget. NT had engaged the NW Treasury identifying a number of issues already spoken to by the IMTT about resources in the province and NT had identified that resources was not a big challenge in the NW rather utilization of resources remained the challenge. In particular, NT had realised that the roads budget mainly came from the NW Roads Maintenance Grant with very little road funding coming from the equitable share. Upon investigation, NT had found the money earmarked for roads in the equitable share went to other priorities. Through the benchmarking exercise it had looked at how the road funding in the equitable share would be returned to roads. Notably the Education and Health budgets for NW had increased at more than the inflation rate. Also NWDoH had been moving budget away from goods and services to compensation which was under pressure. NT had notified the Provincial Budget Council about these concerns. It was hoped that reprioritization would happen as per the NT recommendations to the Provincial Budget Council. Minister Dlamini-Zuma thanked the Committee for the briefing opportunity on progress with the intervention. The Chairperson thanked the delegation and the meeting was adjourned.